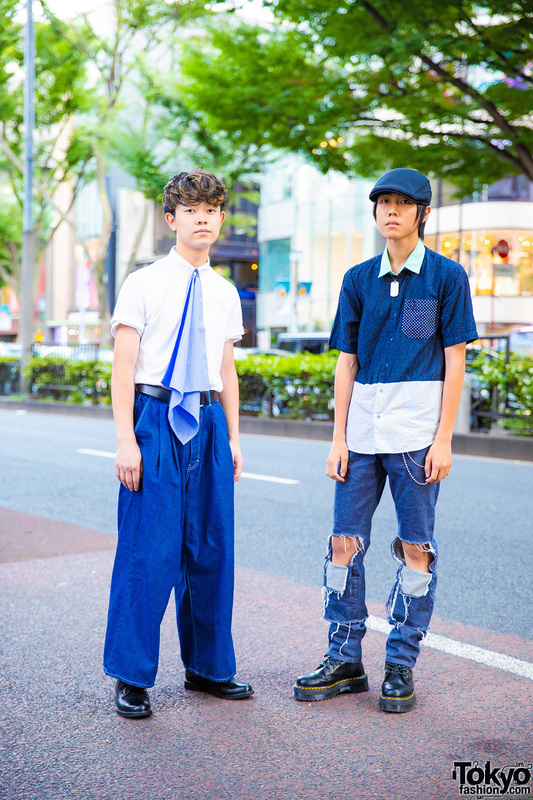 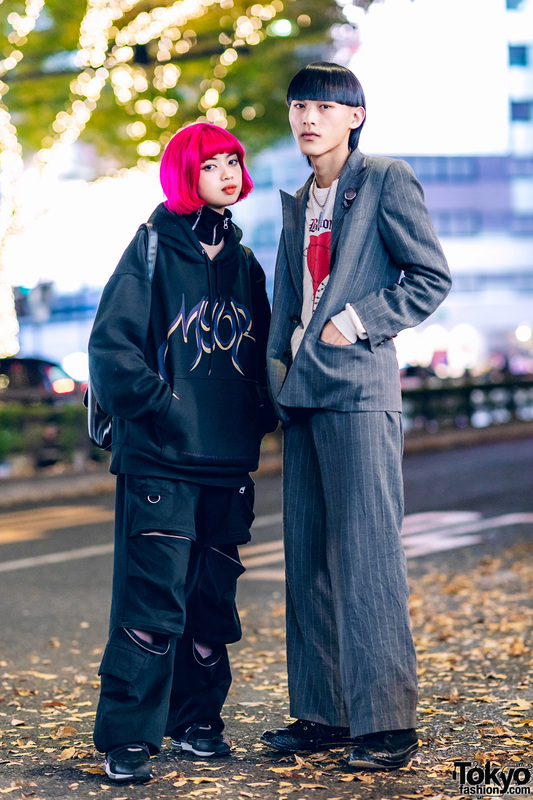 Harajuku girls sporting edgy and interesting streetwear styles with leopard print camisole, punk pants, black-and-red style and open-toed heels. 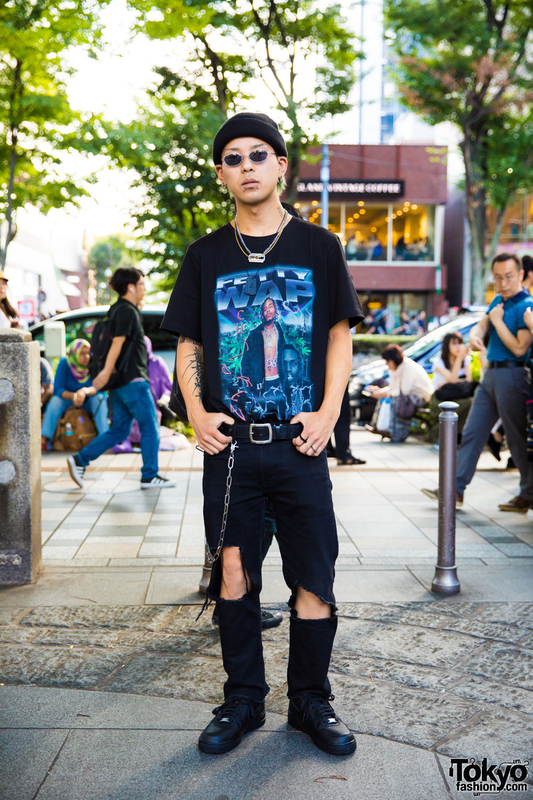 Harajuku student sporting a black and white street style while out and about the street. 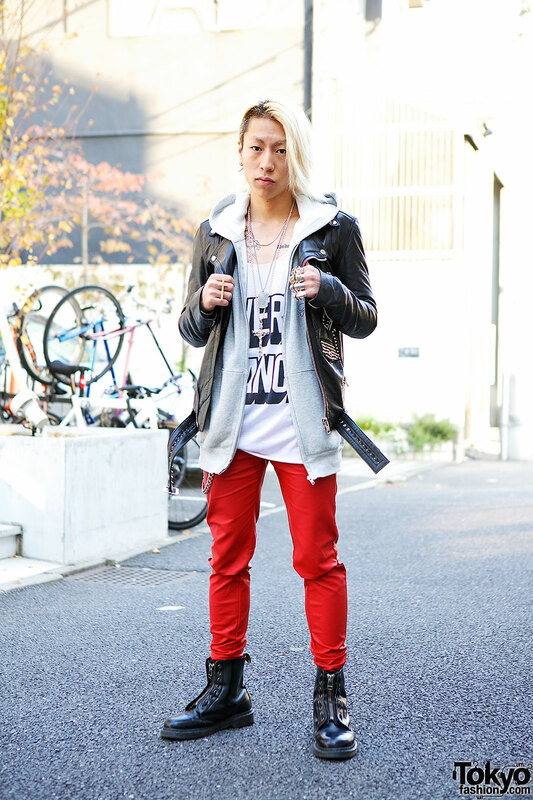 Harajuku guy with half shaved, half long hair, tank top, hoodie, biker jacket, red pants, zipper boots and layered jewelry. 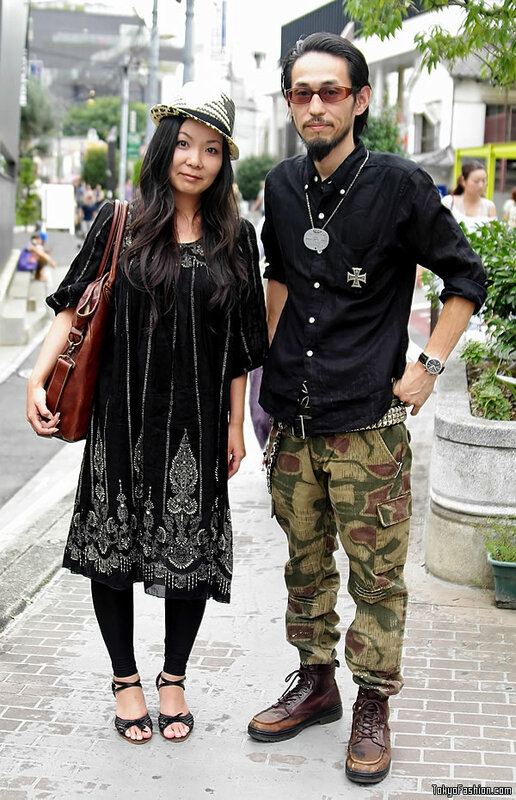 A bearded Japanese guy in Harajuku wearing military-inspired fashion including an iron cross pin, boots, and camouflage cargo pants.